A new study warns that most primates in the second-most primate-rich country in Asia could be wiped out by the end of the century. 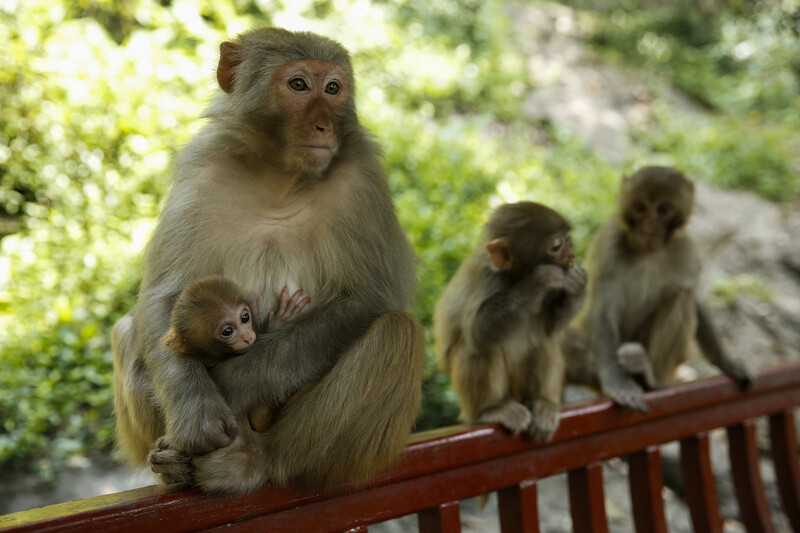 A macaque mother with her baby sits together with an other macaque on the hill at Qianling Park. China is the second-most primate-rich country in Asia, with 25 known species of non-human primates, including lorises, macaques, langurs, snub-nosed monkeys, and gibbons. Since the 1950s, though, primate populations have declined drastically, largely due to clearing of large tracts of forests for farmland and plantations; industry; roads, railways, and other infrastructure; and urbanization. In this rapidly changing landscape, China&apos;s primates are struggling to survive. Some 80 percent of China&apos;s primates are currently listed as threatened (either vulnerable, endangered, or critically endangered) on the International Union for Conservation of Nature&apos;s Red List, researchers report in the study in Biodiversity and Conservation, which reviewed the status of China&apos;s primates. Of the 25 primate species, 15 to 18 have fewer than 3,000 individuals surviving in the wild. Two species of gibbons, the northern white-cheeked gibbon and the white-handed gibbon, have disappeared from China in just the past two decades. While the two gibbon species are present in other parts of Asia, their status is dire: they are listed as endangered (white-handed gibbon) or critically endangered (northern white-cheeked gibbon) on the IUCN Red List. 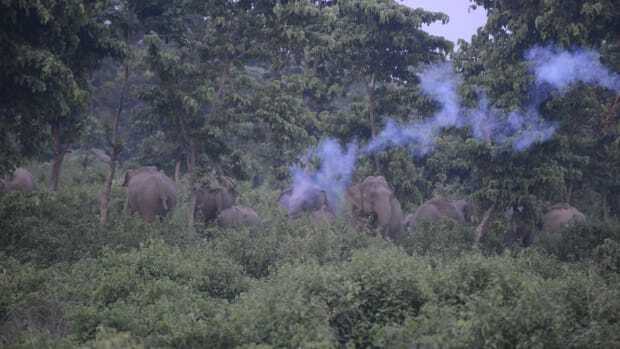 "Such gloomy profiles actually did not surprise me—given I grew up in the countryside of China, engaged with zoology of the region for years and witnessed the procedures of environment damages," co-author Ruliang Pan, an adjunct senior research fellow at the University of Western Australia, told Mongabay in an email. "My biggest concern, perhaps of all the co-authors&apos;, is wondering how much time the primates in China still have to co-exist with humans. We used to have a great ape (orangutans) and two species of the gibbons, which became extirpated in just the wink of an eye." Two more gibbon species could be heading toward extinction in China soon. The Hainan black crested gibbon has only about 20 individuals left in the wild, all of them in Bawangli National Nature Reserve on the island of Hainan. Similarly, the eastern black crested gibbon has only about 100 individuals across China and Vietnam, with fewer than 30 living in China. In fact, 13 of the 25 primate species in China have fewer than 1,000 individuals remaining in the wild. These include the recently named Skywalker hoolock gibbon, the pygmy slow loris, the Arunachal macaque, the northern pig-tailed macaque, Myanmar snub-nosed monkey, gray snub-nosed monkey, white-headed langur, and Shortridge&apos;s langur. To see how the primates would do in the future, the researchers modeled the effects of expanding agriculture on primate distributions over the next 25 to 75 years. They found that, under the most "optimistic" scenario, which presumes the country moving toward a cleaner and more resource-efficient society, primate distribution will likely decline by 51 percent by the year 2100. Under the business-as-usual scenario, which assumes China will continue with its current national policies, gibbons, lorises, and most langur species will be lost. Under the "pessimistic" scenario, which assumes that China&apos;s national policies will allow agriculture to expand into currently protected areas, primate distributions will shrink by 87 percent by the end of this century—that is, most of China&apos;s primate populations will face extinction. "The modelling in the paper predicted some worst scenarios on primate status in China over the next 25-75 years," Wen Xiao, a researcher at the Institute of Eastern-Himalaya Biodiversity Research at Dali University–Yunnan, who was not part of the study, told Mongabay in an email. "It may not be that bad, because it is based on most rapid agricultural expansion data in China between 1961 and 1990; deforestation and agriculture expansion trend has stopped to some extent now as suggested in this paper. But people should know how bad it can be and be alert." Pan said it was critical for the Chinese government to reshape its eco-social development strategies. "The good sign is that the current regime has started thinking about the problems." The government has had some success with the Hainan gibbons, for example. By the 1980s, there were only 10 Hainan gibbons remaining in the wild, down from an estimated 2,000 in the 1960s. The population has grown slightly since then, with around 20 Hainan gibbons living in Bawangli National Nature Reserve, thanks to a reforestation program that had the goal of converting pine plantations into a mix of native and non-native forest. 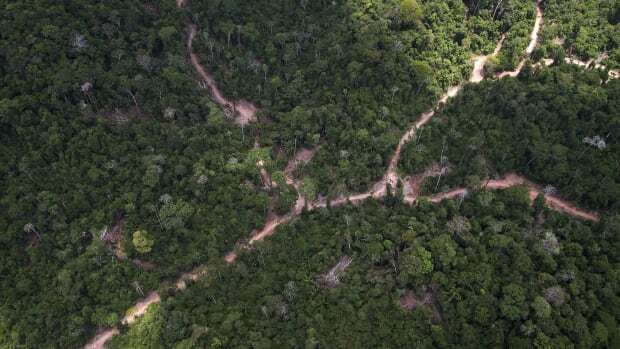 "The program has been aiming at increasing plants consumed by the gibbons; instead of planting exotic species, the seeds from the plants eaten by the gibbons were collected and planted in primary forest," Pan said. This type of reforestation program that aims to restore and expand the naturally occurring foods and plant species that gibbons and other primates need is essential to their survival, Pan added. The Chinese government has set aside some 620,000 square miles under national nature reserves, provincial reserves, or local reserves. But very few primates occur within the larger national reserves, the researchers say. 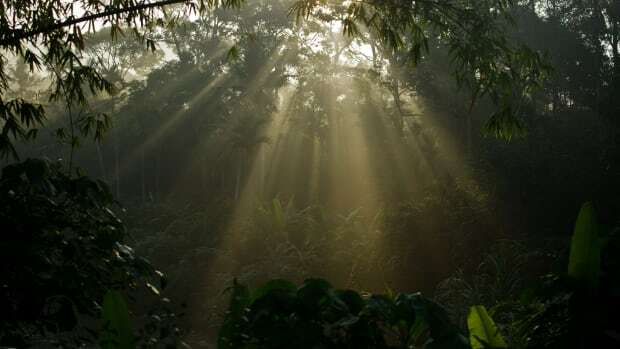 "Although China has expanded its system of nature reserves (which has helped reduce deforestation and hunting within reserve boundaries but not in areas adjacent to reserves), and has allocated billions of dollars to reforestation, most of these programs are not designed to regenerate native habitats, which are crucial for primate survival," the authors write in the paper. Expanding suitable habitat for primates is critical, as is prioritizing a network of protected corridors that can connect isolated primate subpopulations. 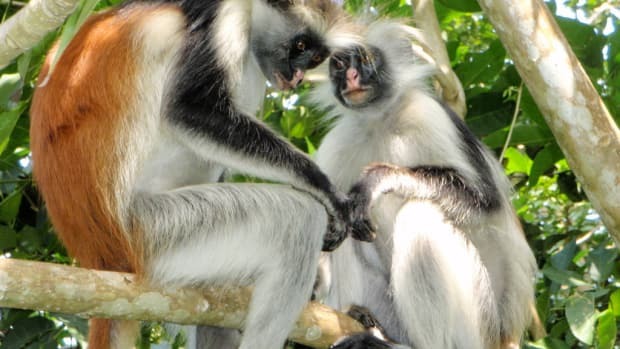 More importantly, for China&apos;s monkeys, langurs, lorises, and gibbons to survive well into the future, the Chinese government, Chinese scientists, national and international conservation organizations, and the Chinese public must work together, the researchers add. "It is very necessary to have a joint international unit in China to oversee primate conservation issues, strategies, and commitments," Pan said. "Such a unit based in a Chinese university could bring together scientists, politicians, conservation organizations, both governmental and non-governmental, social media, and public to efficiently and systematically carry on a series of conservation implantations. Such a mission could be practiced through sharing databases, information, and research results, particularly scientific models for conservation." Paul Garber, a primatologist at the University of Illinois, said in a statement that non-human primates represented our closest living relatives and played "an important role in maintaining the health of tropical forest ecosystems and serve as models for understanding human evolution, health, behavior, biology, cognition, and sociality." 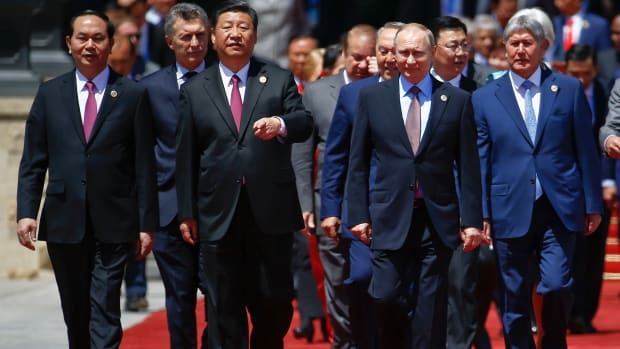 "China is facing a historic moment and has one final opportunity to balance economic growth and environmental sustainability, or face the unprecedented loss of animal and plant biodiversity," he added. 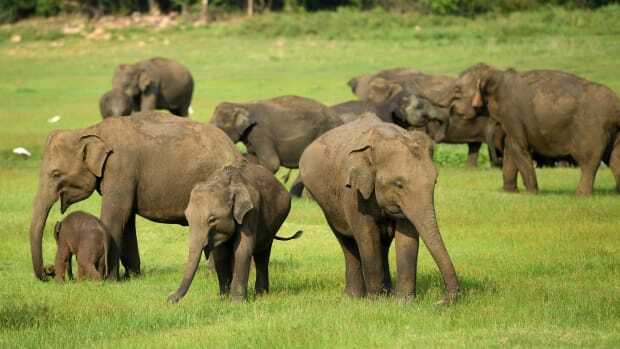 A Sri Lankan research team used a series of interviews over a four-year period to create a country-wide distribution map of the endangered species. It's taken a long time, conservationists say, partly because of complicated land ownership issues.